Has anyone ACTUALLY FLOWN this bird successfully? If so, where was your CG? Update: 2/1/2015 - So far no responses from RCU. However, a friend with a program that took an ungodly number of inputs came up with 3 7/8" to 4" back from where the lead edge of the wing meets the fuse. We'll start there and I'll get back to everyone once we maiden her. For now, this is how she looks. Last edited by Plano78; 02-01-2015 at 05:01 AM. 25 to 33% mac is a safe bet. 4" seems a bit far back guessing on the wing chord. How big is this jet? I have a T-33 with a 64 inch ws and is 59 inches long. The mfg says to balance 120mm back from the wing fuselage front juncture. That is not back from the wing leading edge, that is 120mm back from the wing/ fuse joint. Oddly enough that was one of our initial starting points (is yours an RC Lander?). My jet is close in size, 51" long and 59" WS. We took a proportion of my jet to yours and moved the stated CG back some (it came out to about 105mm). The calculation that the program gave us was 3 7/8" or about 98mm. Last edited by Plano78; 02-07-2015 at 04:51 AM. Unfortunately, during her maiden this past weekend during a gentle turn her right wing failed and she spun in from about 300'. Total loss. Looking at the wing you can see there was very little glue used at all so it's no wonder she fell apart. She flew well while she was aloft, shame that for the lack of a few bucks worth of glue she's gone. As much as you can look over a plane before you assemble it, this was something that couldn't be seen. On the bright side, yes, we got the CG right, she flew well, just not long. I've got the Easytiger MIG-15 waiting in a box and now I'm in no hurry to start it. I had a similar issue with the wing failing on an Easytiger Panther as well. Both planes had beautiful fuses but crap wings. The MIG-15 looks the same. Just sad. Well, it's been a few weeks since the event an my giving him notice that another of his products failed. So...................no, I think I'm SOL. I still have his 120mm MIG-15. Beautiful glass work on the fuse but the wings don't seem to be any better so I'm in no hurry with her. Need to figure out how to beef up the wings without too much weight. Suggestions? 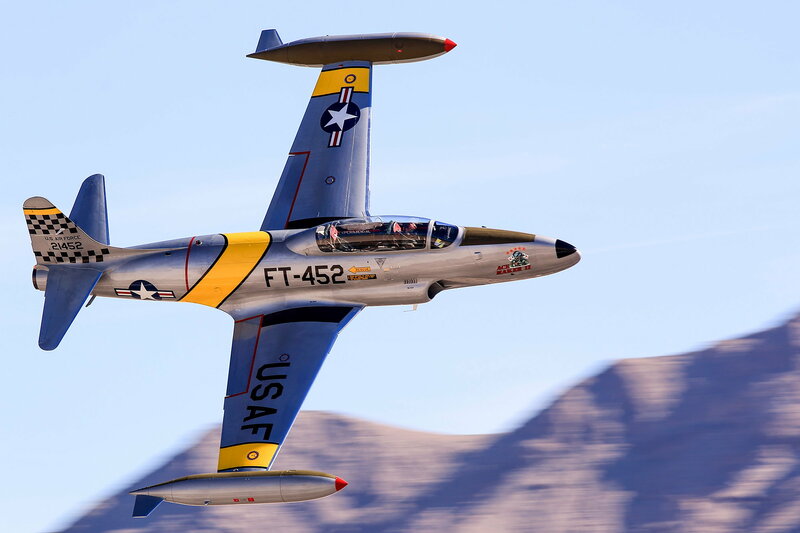 I have the same T33 in progress now and your info on the CG will be most helpful. As to the wing construction, I know its not easy at all to fix, but what could you recommend in a way to possibly address the lack of construction integrity? I have noticed that the spar "tube", in this case a box, is just laser cut and assembled in the wing per say. Is this a point that contributed to the failure? What retracts did you use in the small thin wings? What I could see was internal, there wasn't much in the way of glue used. The box that the wing tube went into WAS NOT GLUED to the internal workings of the wing and that's were the wing failed. You might consider opening up the wing and liberally apply epoxy and microballoons. At the very least open her up and see what you have. Geez..I was almost ready to purchase one of these from Easy Tiger...thanks for the warning about him...!!! I busted up the front of my RC Lander T-33 from the cockpit forward. 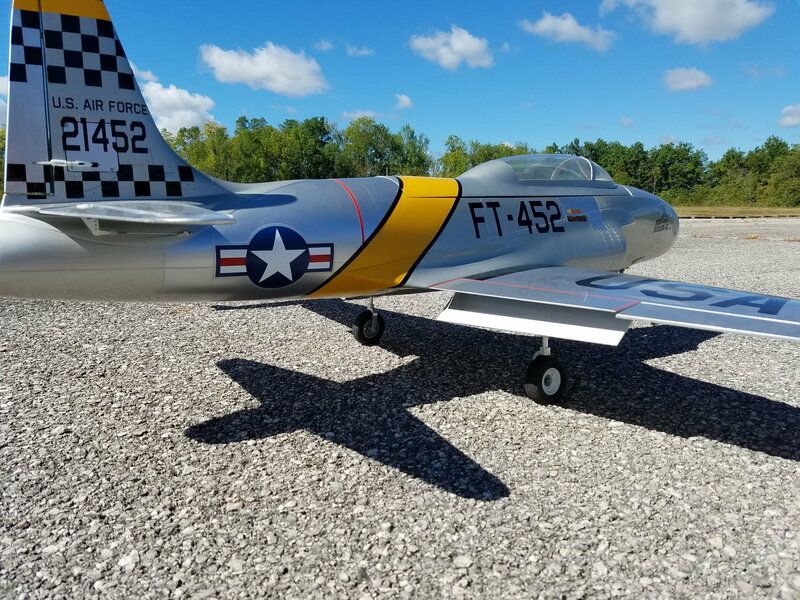 If anyone has a crashed T-33 with a good front fuselage I will buy it. All I need is from the cockpit forward in reasonably good shape. Any color scheme. Can't recall exactly what I paid for it, believe it was in the area of $300. However, I got it from Easy Tiger and their web site is gone. Lastly, it's the only place I ever saw a composite 90mm T-33. Giving the HK F9F Cougar a try, see if there is any more luck there. At least I've found several vids of it flying and no stated issues with it's construction. Yes i still have it and it still has not flown even thou i have tried several attempts. It has a nasty yaw tendency when speed gets up some and is not recoverable with steering and rudder. I suspect the tip tanks causing this and just have not had the space and time to investigate that theory. Being TX, shipping would be fairly high due to the stab being attached and tanks on the wings. Still interested? The Black Horse T33 is an awesome model, we have two in the fleet, mine is setup with an Extreme GRP Jetfan and the milder 8 cell motor, 1500Kv which pushes just over 4kg thrust at 80-85 amps. I run 5000mah packs in it and its around 1:1 power to weight. Takeoff is beautiful, she rolls out around 150ft then just lifts herself off, no bad tendancies at all. Landing is quite slow with flaps down, my CS90mm retracts dropped straight in and work perfect. I think BH make some of the best kits for the money out there, the new 120mm Viperjet is looking to be another superb model from them, their 90mm versions are excellent. All built up lightweight kits that go together very nicely. Gary, so I assume that you haven’t had any luck in obtaining a BH T33 yet? Just asking because that was my first choice but BH wasn’t importing that one to the US were as several others kits from them were. That’s when ETM contacted me direct on the TB Models arf. Lets take this off forum, contact me at sam51401@yahoo.com please for further details.